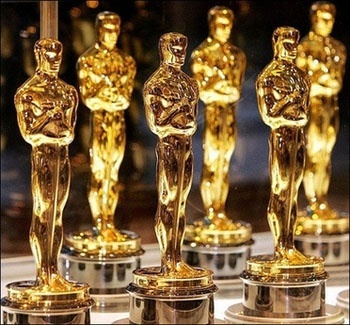 Do you know enough about The Academy Awards to earn a statuette of your own? The Academy Awards, or The Oscars as they're known colloquially, take place this Sunday, March 7th, but things are a little different this year. For the first time ever, ten films have been nominated for Best Picture, and the new voting process could be setting the stage for a few surprises. The Escapist wants to make sure you're properly prepared for the event. MovieBob's special report will fill you in on the Best Picture changes and give you an edge in your office Oscar pool, while this quiz will test your Oscar smarts. Score 100%, and you'll take home a little gold man of your own...well, the badge version, anyway.